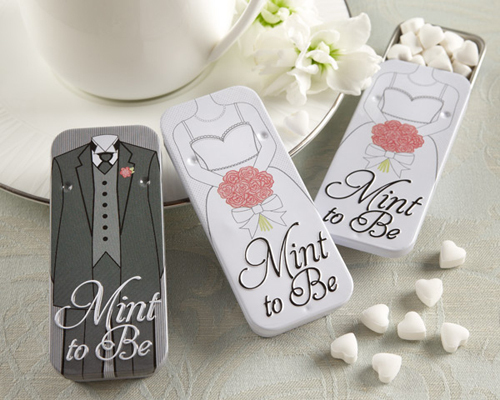 Shout to the world that you are "Mint ot Be" with our Bride and Groom Slide Mint Tin. The slide is sleek! The slide is unique! The mints are cool! This favor's a jewel!